We are successfully occupied in manufacturing, trading and supplying an exclusive array of Protection Against Industrial Hazards such as Wind Sock, First Aid Kit, Electrical Rubber Mat, Oil Spill Kit, Emergency Chlorine Kit, Spark Arrestor and many more items. 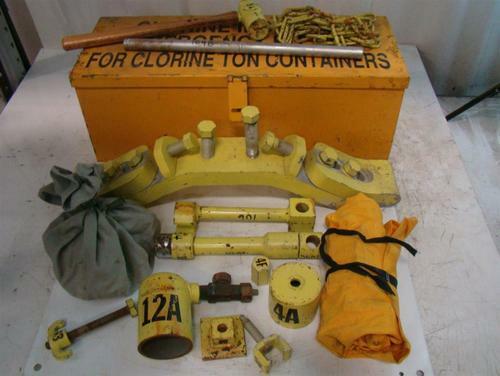 Our offered range is extensively used in many industries like mining, chemical, construction, etc. These are fabricated as per the specified quality standards. Further, clients' can avail these products in different sizes and colors as per customers’ requirements. 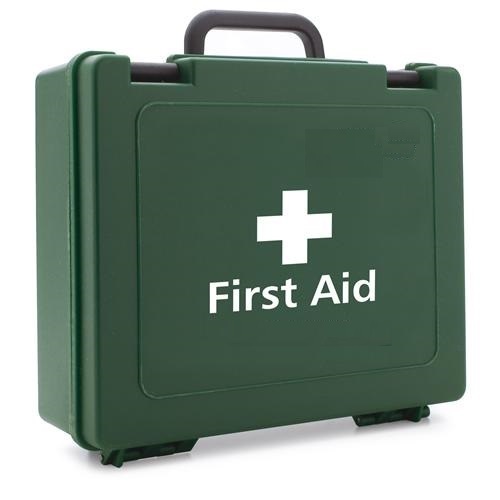 Owing to our vast experience in this domain, we are offering premium quality First Aid Kit. These kits are consists of various important medicines and other amenities that can be useful at the time of emergency. These first aid kits are ideal to carry on a trip and can be kept in organizations for any emergency. We are leading manufacturer of Snake Catcher Stick. 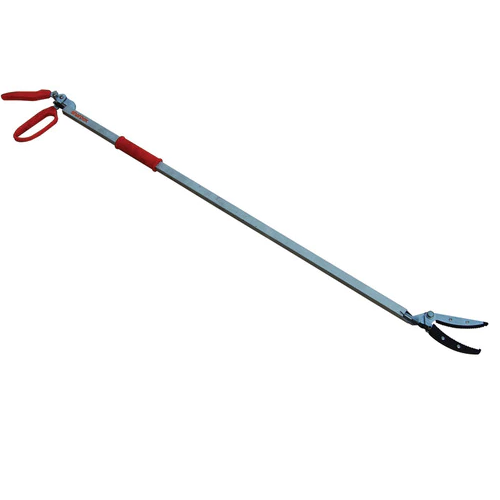 Snake Catcher Stick is a modern device to catch live snake safely. Soft catch-grips do not hurt the snake and the long pole keeps you safe. It is light weighted and easy to use. No Of Cells 2 / 3 / 4 cells. 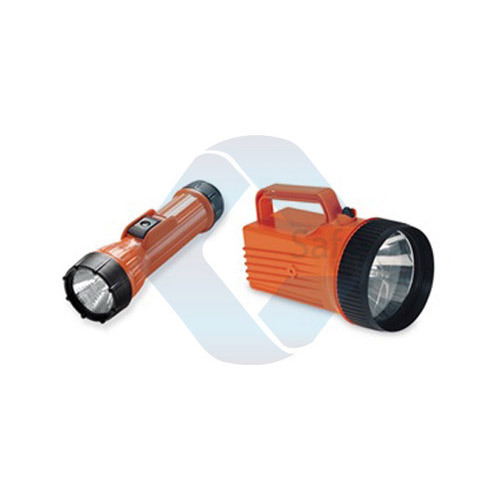 We are leading manufacturer of Brightstar Torch. Bright star torch is flameproof. The flameproof torch is CMRI approved. Other Pelican models also available. 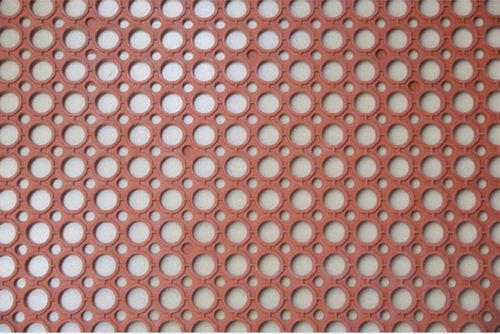 We are leading manufacturer of Chemical Oil Absorbent / Oil Absorbent Pad. 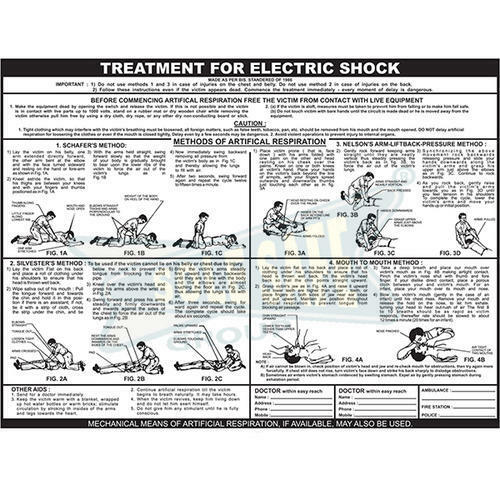 We are leading manufacturer of Electric Shock Treatment Chart. Backed by vast industry experience, we are manufacturing, supplying, wholesaling and exporting Emergency Chlorine Kit. 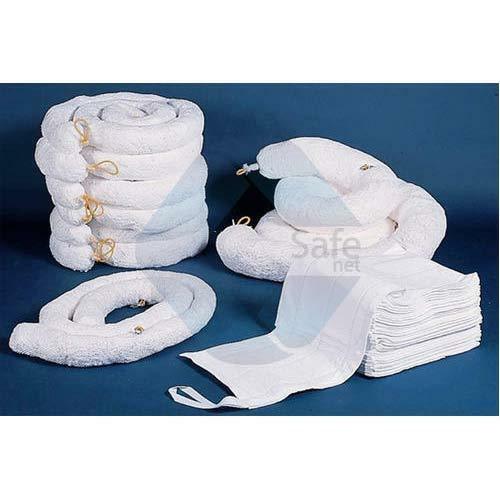 Also, known as ammonia kits, these are ideal for the emergencies like leakage of chlorine and ammonia gas. Ideal to be used in chemical industry and other factories, these emergency chlorine kits are available with us at competitive prices. We are leading manufacturer of Folding Stretcher.Easy to fold & light in weight. 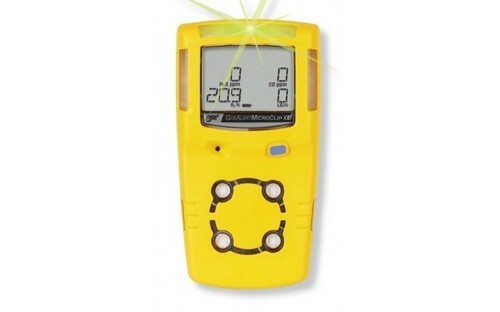 We are leading manufacturer of Multi-Gas Detector. 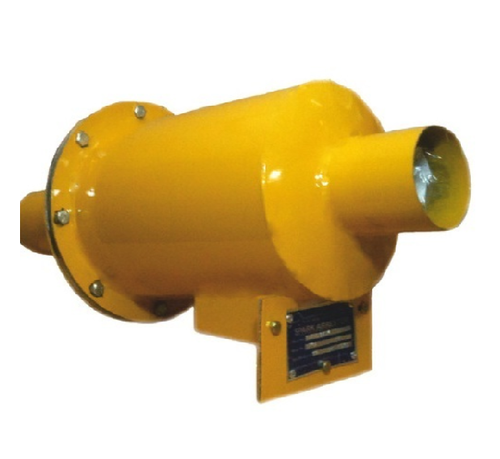 We are the leading manufacturers of Spark Arrestor. Being a reputed name of the industry, we are manufacturing, supplying and exporting highly durable Windsock. 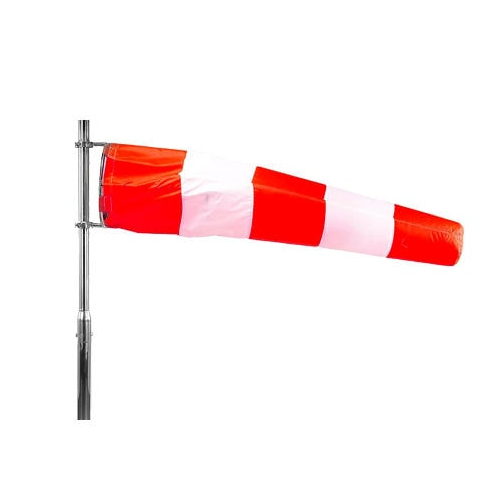 This wind sock gauges wind direction and is widely used for indicating the direction of the wind. Clients can avail these wind socks from us at competitive prices. We are leading manufacturer of Furnace Observation Cobalt Blue Glass. Form Sticker Form or in Auto Glow Sticker Form. 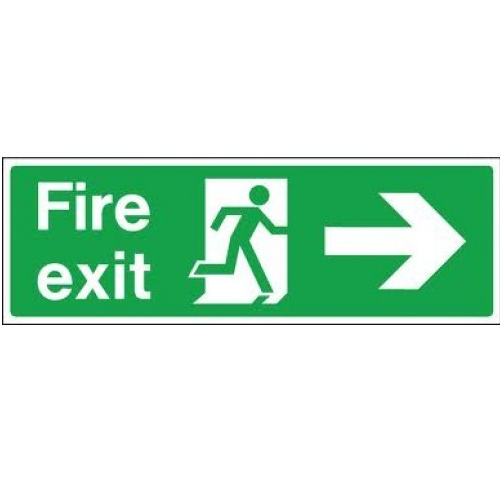 Over the years, we have been engaged in offering an exclusive collection of IMO Signage boards. They can be pasted on the wall or can be changed, offered boards are manufactured using high-grade basic material and latest technology in compliance with international quality standards. In addition to this, our offered signage boards are quality checked under the supervision of quality controllers, in order to ensure their flawlessness. 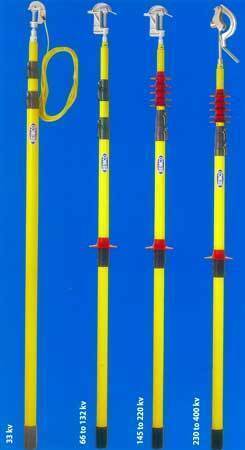 · It is Fiberglass rod manufactured from high quality epoxy resin. It is prevented from moisture and dielectric strength. · It is easy to use. It is equipped with FRP/Rubber insulator to increase creepage distance. · It is available in various sizes, lengths and voltage resistances. Looking for “Protection Against Industrial Hazards”?